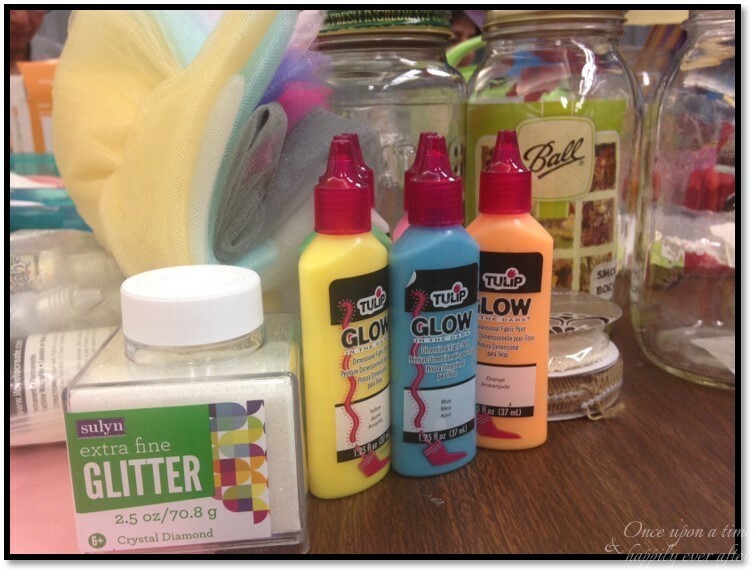 I am sharing a fairy-flavored Do It Yourself project I came across recently on Pinterest. 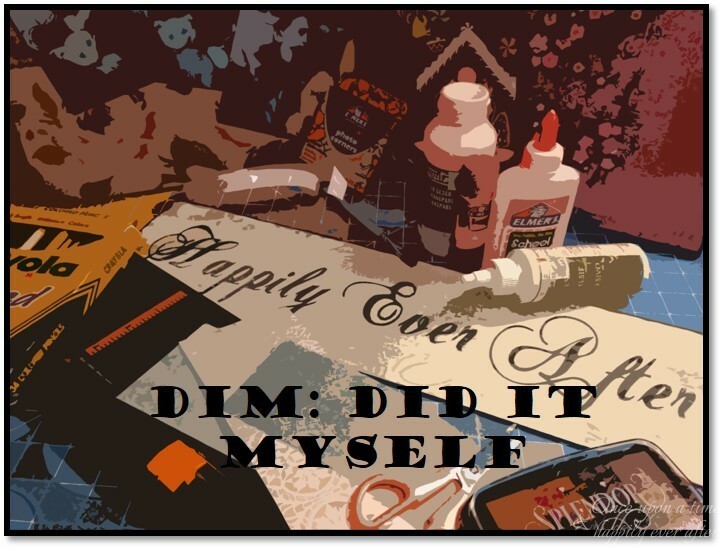 In my case, I call it a Did It Myself project because I am always amazed when 1. I actually do a project AND 2. the project I did actually turns out! 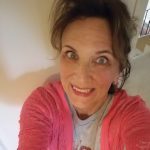 I originally wrote this post for The Blended Blog, but wanted to share it with you guys in case you didn’t see it there. 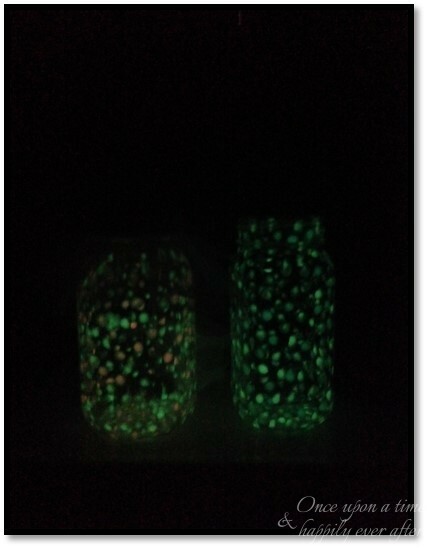 The project is called “How to Make Mason Jar Fairy Lights” and you can find it on my “DIYs, DIMs and Honey-dos” Pinterest board, here. But promise you won’t go over there yet. 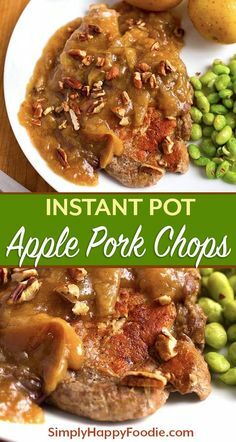 Actually, now that you have a link to the directions, I could probably bow out and leave you with it. But that wouldn’t make this much of a blog post, would it? So, I instead I will share the pics I took as I made my fairy lights and then you can run over and see how the pros made theirs. My granddaughter Cady is having bad dreams. They started when my daughter and son-in-law separated. Cady starts out in her own bed but wakes up many nights, screaming. When that doesn’t happen, Cady will slip into her mommy ‘s room in the middle of the night before the nightmares start. Brennyn and Cady came for a visit a few weeks ago and I had these fairy lights ready for her, to help keep the nightmares away. To begin, I squirted a little bit of glow in the dark paint from one of the tubes onto a piece of aluminum foil or cardboard. I dipped the brush into the paint so that I had a generous amount on the brush and dabbed the paint first onto the inside bottom of my jar. I continued the process working from the bottom of the jar to up the sides and toward the top. At first it really bugged me that my dabber didn’t dab in perfectly round little spots of paint. Being kind of a perfectionist gets in the way of finishing (heck, starting) things at times. Good news, though, it doesn’t matter if the dabs are round and even and perfect. Yay! In the first picture, you might be thinking that I am using the wrong end of the brush for my dabbing. And you would be right. The other end of this particular brush was squared and that really interfered with making round dabs. The wrong end worked right. Kinda. I combined two colors of paint on my jars. When I made my lights, I was at a crafting event my friend Martha sponsors every summer called “Hobbies for the Cure”. 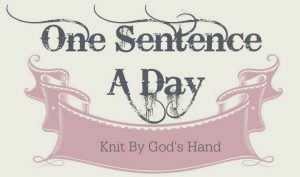 A bunch of us make a donation, get together and craft all day to raise money to help a local cancer patient with medical expenses. 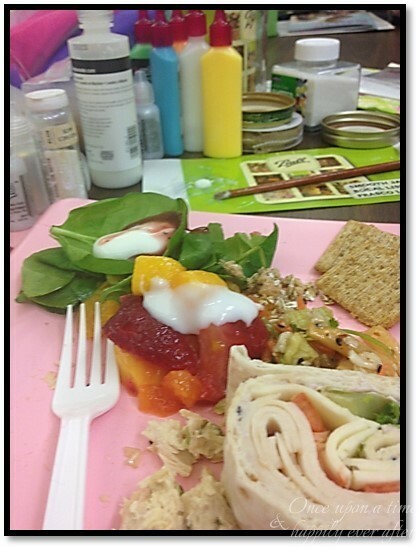 Martha caters lunch and the whole day is just so much fun. I had worked up quite the appetite dabbing so at this point broke for lunch. Once fortified, I tackled step two. And this is where I kind of made this project my own. 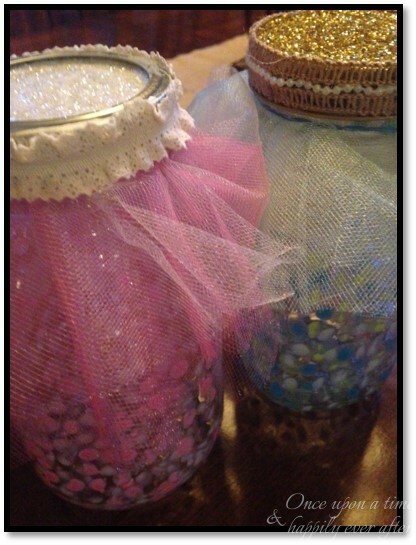 I decided to put tulle under the metal lids of the jars just to dress things up a bit more. That’s what fairies wear, right? Tulle? Thought so. 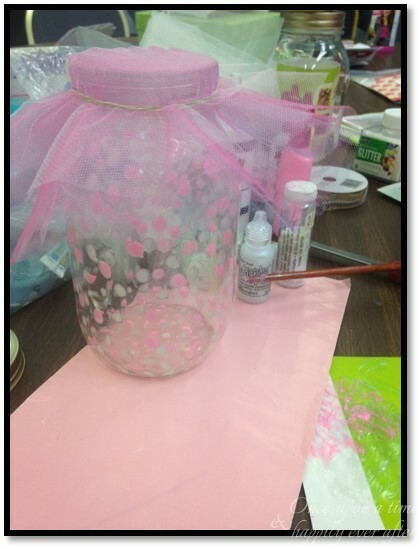 I used the lid from Martha’s pitcher of lemonade to cut several colors of tulle in approximately 8″ circles. Those are stolen scissors from the library where I worked years ago. That grungy looking tape reads “library” because people kept taking my scissors. Turns out maybe it wasn’t people who were taking my scissors. Maybe I just kept taking them home and forgetting them there. Anyway, these are so dull that I did the school a favor. And I could have chewed this tulle more evenly with my teeth. I held it on with a rubber band. Ta-da, rubber band. Next step, glitter on that little metal center of the lid. One of my jars was a Ball or Mason so that little metal part is separate from the ring that screws around the mouth of the lid. Not sure why I thought you needed to know that. But just in case. The other was a one-piece spaghetti sauce jar lid, FYI. 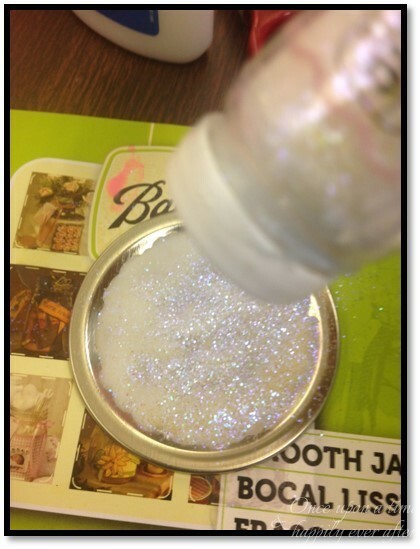 I painted white glue on the flat part of the lid, less glue is more, and then sprinkled on glitter. And then when I got home, I added more glitter. That perfectionist thing. One can never have too much glitter, though, right? Finally, I took a little lace ribbon and glued it to the edge of the lids. Actually, burlap and pearls on one, white eyelet on the other. 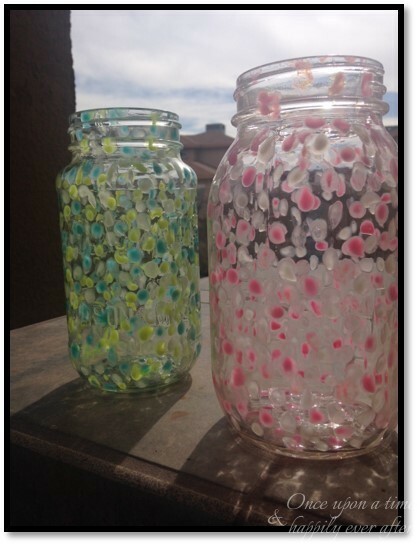 Before assembling everything, I set the jars out in the sunlight for several hours. That not only speeds up the drying but it also activates the glow in the dark qualities of the paint. Now, NOW we are ready for assembly. 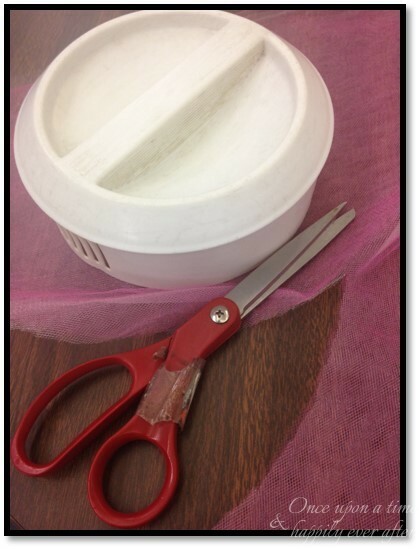 I used about five or six layers of very roughly round tulle on each jar, fastened with the rubber band, then screwed on the lids and…. Voilà. Or as I sometime like to say viola. And then comes the real moment of truth. Do these fairy lights light-up? Because if not, they are just dressed up jars. I give you, fairy lights. Whew, I was worried. So glad they worked. The paint will continue to glow for awhile but can always be renewed with a few hours in direct sunshine. 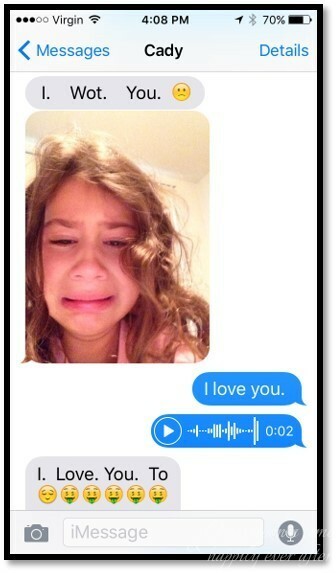 I received this message and phot on my phone a few days after Cady and Brennyn returned home. I just hate that they live so far away. Now, run back up to the top of this post and check out the link to the real fairy lights that the original fairy light maker made. And then, if you try your hand at this DIY, please share your results with me here. Enjoy these last fleeting days of summer, my friends. 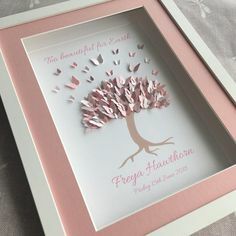 How fun, these are precious, creative, girlie and so pretty! Even more precious, that sweet babes face missing you….priceless!! Thank you, Andrea. I was so touched when I discovered Cady’s message on my iPAD. My little doll. Thank you. Just breaks my heart that this baby is having such a hard time. These are amazing! I love this idea. I’m so sorry to hear about your granddaughter’s nightmares though. Hugs! all do at some point. I think she is sleeping better…not sure why…but let’s credit the fairy lanterns! Your fairy lights are so cute and sure to keep bad dreams away! I love how they turned out and hope your grand daughter is sleeping better! Thank you, sweet Jill. I loved making them. We also made fairy spray for good dreams. Will be sharing that on the blog soon. I love them, you did great!! Didn’t know they made glow in the dark paint. I also like your DIM 🙂 Never heard of that before. 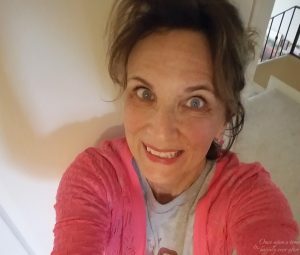 Thank you for linking up at the #BloggingGrandmothersLinkParty. I shared this post. I really enjoyed making these fairy lights. And Cady loved them. Thank you for commenting and sharing!! Beautiful fairy lights. I hope they send Cady’s nightmares away. Thanks for linking up at #BloggingGrandmothersLinkParty. I’ve shared this post on social media. Thank you, Christie. The fairy lights have helped but I also made Cady good dream spray and she uses it every night on her pillow. Maybe it is time for a post about that. Solar paint – thank you for sharing. I have not come across that. Cute project. Thank you for linking up at the #BloggingGrandmothersLinkParty. I shared this post on social media. Thank you! Hope to make some more of these fairy lights for our backyard this summer. Thank you for coming by. I’m DIY challenged Leslie but I love these. Would you believe I just finished a book by Jodie Picoult and these lights were mentioned – spooky! Thanks for sharing at #BloggingGrandmothersLinkParty and have a great week. 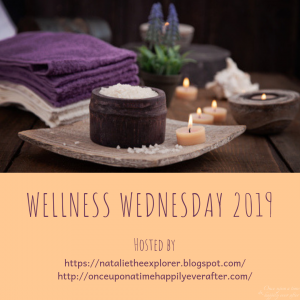 What are the odds that these lights would be mentioned in a book just as I shared this post on the grandmother link party?! I want to do a DIY post about sweet dreams spray I made for my granddaughter, too. Need to make some more for her…a refill…so maybe I will snap some pics and create a post. What a neat idea! I love fun little projects! & how sad is that face!!!! Thank you, sweets. And thank you for coming by. I miss my sweet granddaughters so much but am ever thankful for Skype and Facetime!! These are so cute. My grandchildren would love to make these; all of that dabbing, gluing and sprinkling! Than you for sharing them with the #BloggingGrandmothersLinkParty! Thank you so much. I appreciate you coming by and leaving a comment, too! My granddaughter is all about the sparkles! She likes bedazzle everything including her kitties. 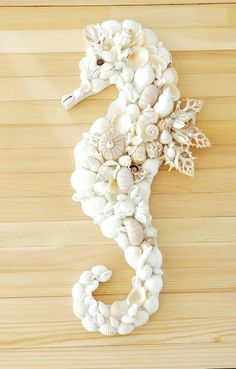 What a great project to make with your grandchildren! Love this! Thanks for linking up at #BloggingGrandmothersLinkParty. I’m sharing your post on social media. Thank you for coming by again and for sharing my fairy lights on social media. You grandmas rock!! Wow! Thank you so much!!! Heading over there now. 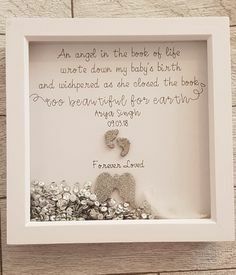 Oh my , i just think these are soooo precious , ty for posting this , my granddaughter would love this and so easy to make , your an angel sweetie and so is your granddaughter. Hello, new friend! So glad to make your acquaintance and to have you come by my blog and leave such a sweet message. Hope you enjoying making some fairy lights with your granddaughter. Would love to see your lights when you make them! Please come back to visit again. Love making new friends. Happy holidays, dear one. That is such a cute idea! 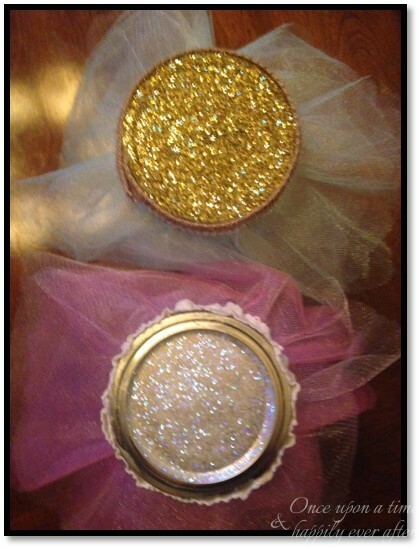 I love the addition of the tulle and I firmly believe one can never have too much glitter. Pinned. Aww, thank you for following my link to check out our fairy lights. I loved the tulle! And bring on all the glitter.